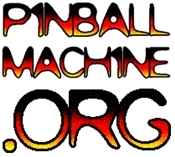 Problem: The European Pinball Player is a better pinball player than the American player. Data East (now STERN) service bulletin for Time Machine. Thanks to Josh Lehan for bringing this piece of awesome to our attention. Mads Kristensen, our visiting Danish player, is not surprisingly gloating about this. He also became a huge fan of Time Machine after first playing it a couple months ago and has the Grand Champion Score at the Pacific Pinball Museum. So I’m going to work this SB into some sort of graphic and make T shirts out of it. Anyone that beats Mads at the Pin Golf tournament this Sunday will get a free shirt. Click the picture for the full PDF on STERN’s site.